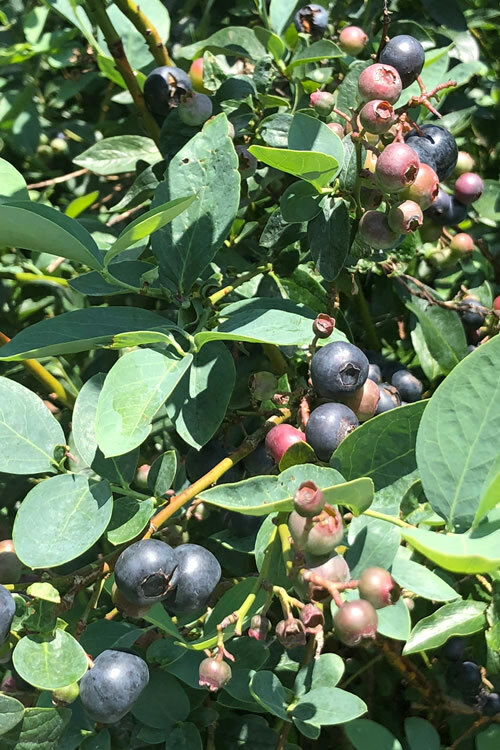 Everybody wants bigger fruit, and this amazing blueberry bush produces berries two to four times the size of the average blueberry - up to the size of a quarter! 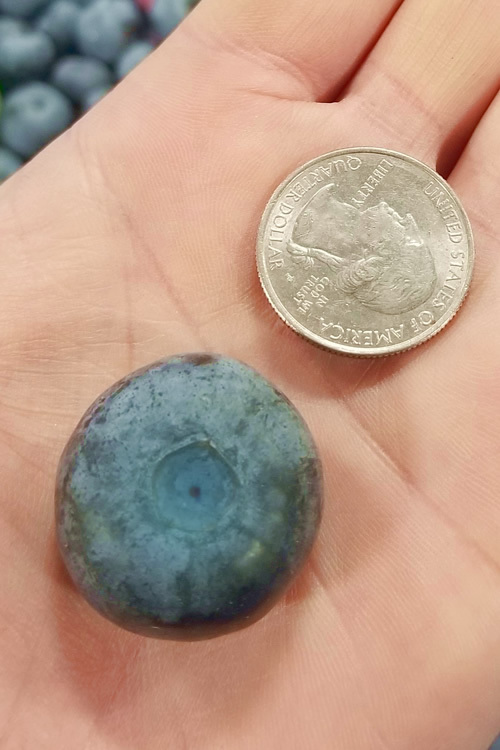 A University of Georgia 2012 release, the jumbo-size berries of Titan Rabbiteye Blueberry are very sweet with that typical blueberry flavor we blueberry lovers love. Get all the details below! 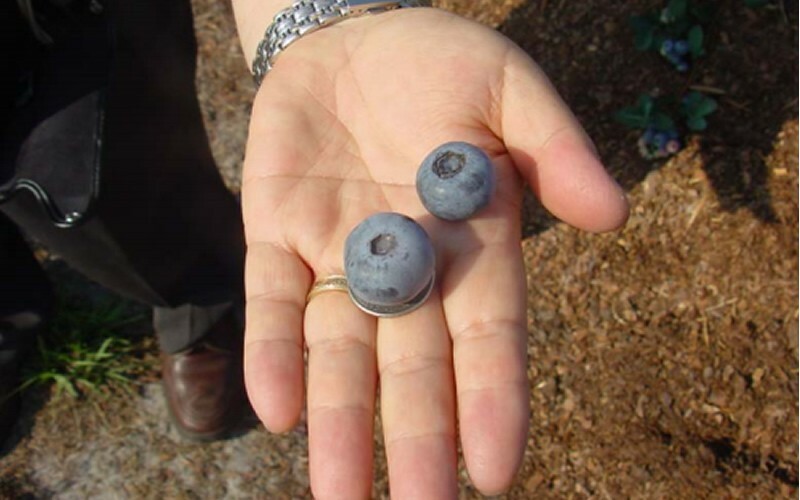 Everybody wants bigger fruit, and this amazing blueberry bush produces berries two to four times the size of the average blueberry - up to the size of a quarter! 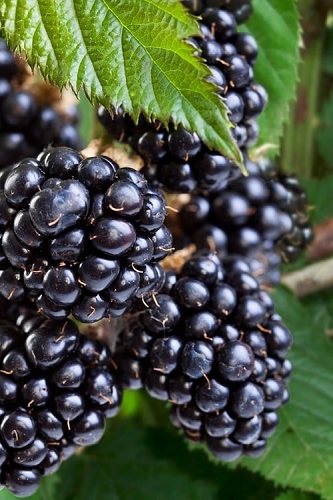 A University of Georgia 2012 release, the jumbo-size berries of Titan Rabbiteye Blueberry are very sweet with that typical blueberry flavor we blueberry lovers love. 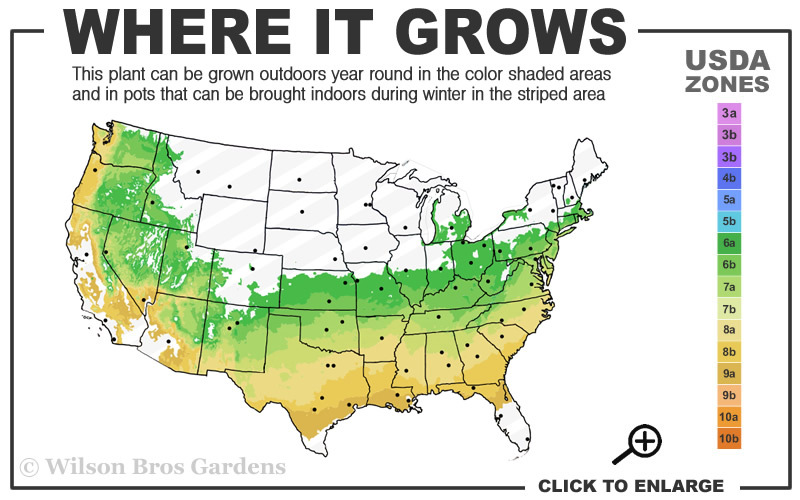 The Titan Blueberry does exceptionally well in USDA Zones 6a to 9a. Blueberry plants grow best in an acidic (pH of 4.8 to 5.2), organically rich, moist, well-drained soil in full sun to part shade. 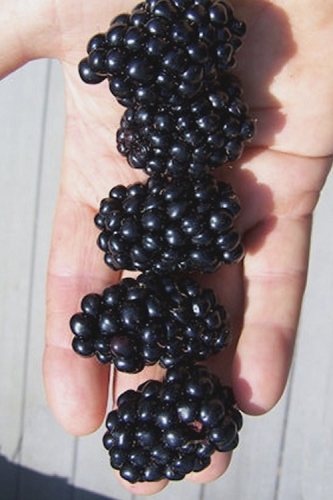 The more sun the better for best berry production. The shallow, fibrous roots of blueberry plants like a consistently moist but well-drained soil which can be provided by with a layer of organic mulch. Although blueberries are self-fertile, cross-pollination produces the best fruit crop (larger berries and larger yields). 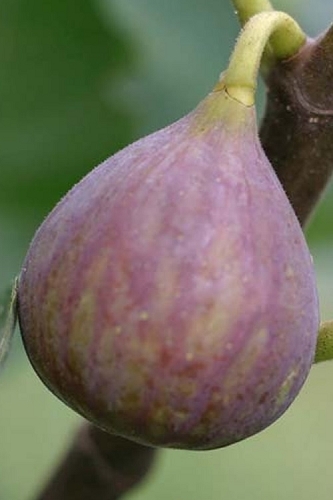 Therefore it is best to plant more than one variety that will bloom at the same time. 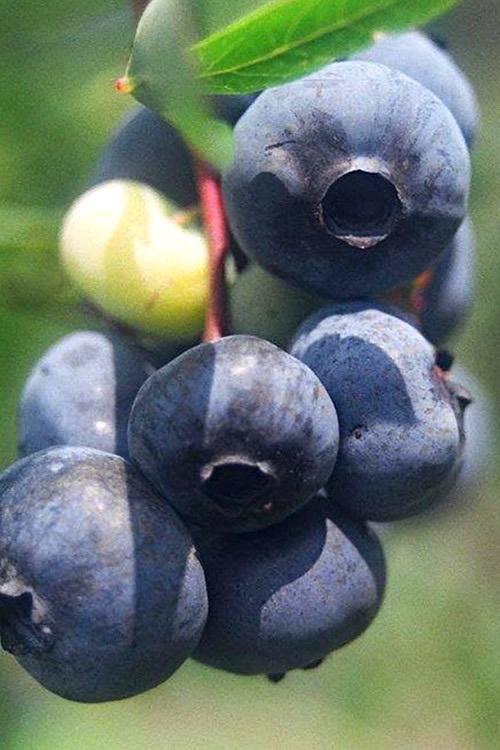 Blueberry season can be extended by planting early, mid-season and late varieties. 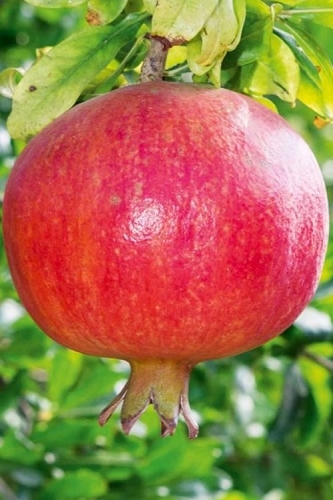 Make sure to plant two different cultivars/varieties for each season.